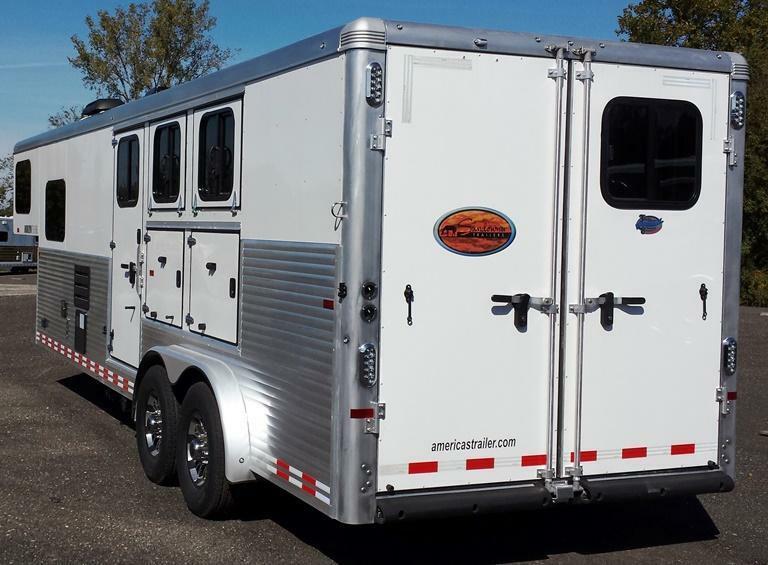 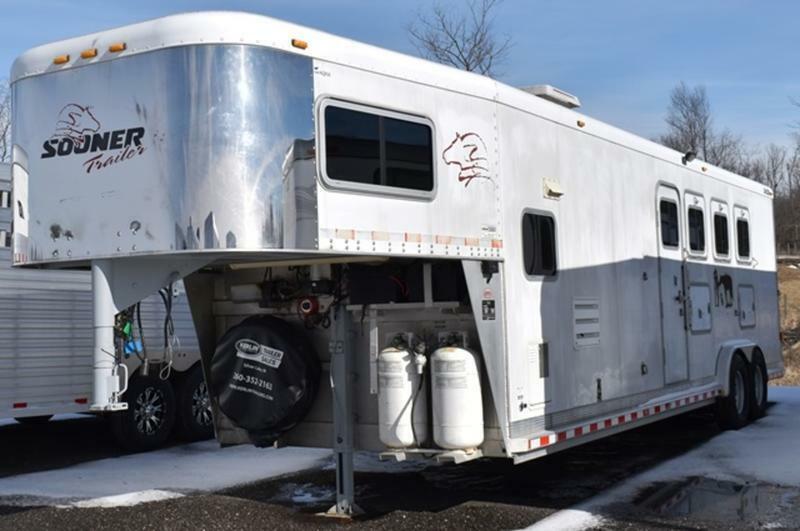 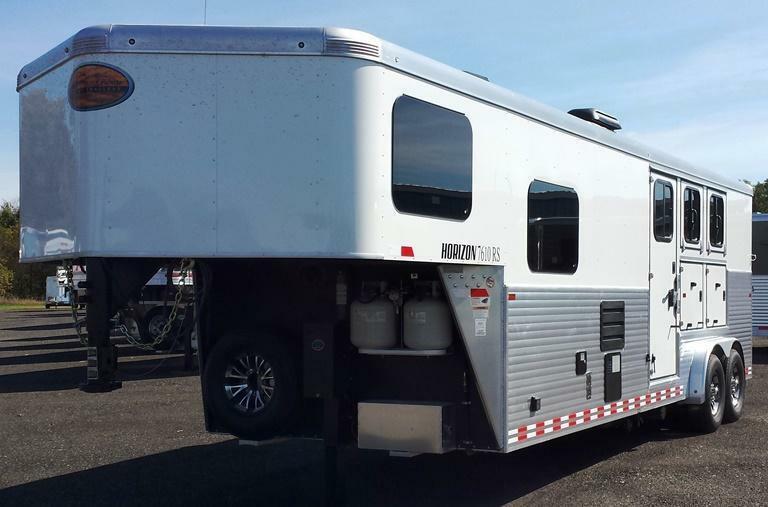 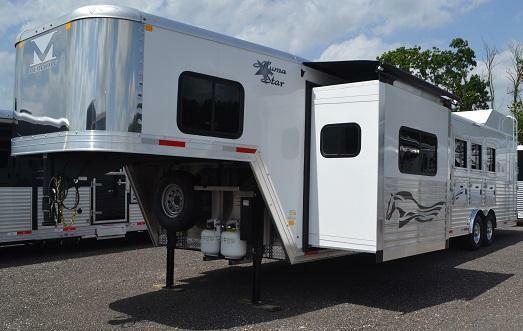 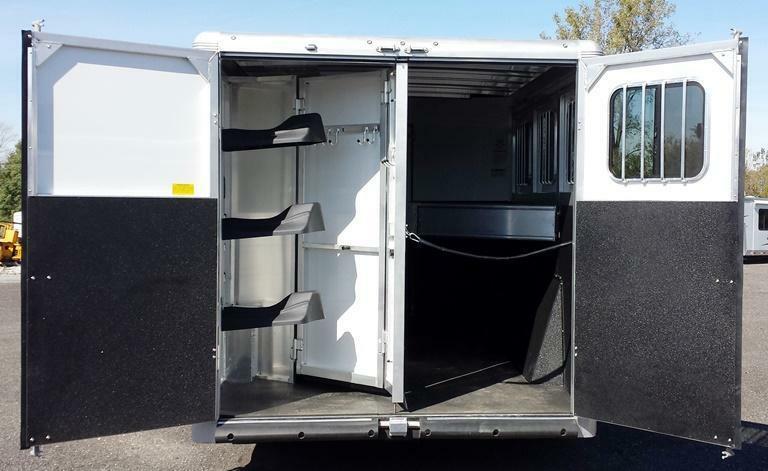 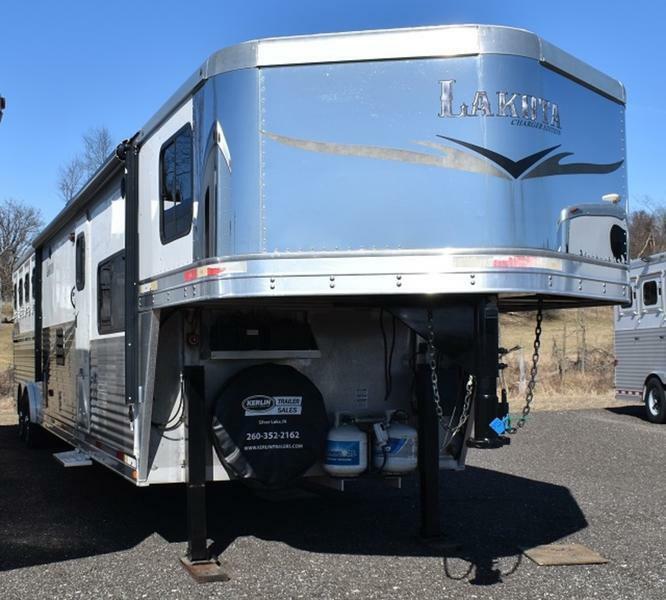 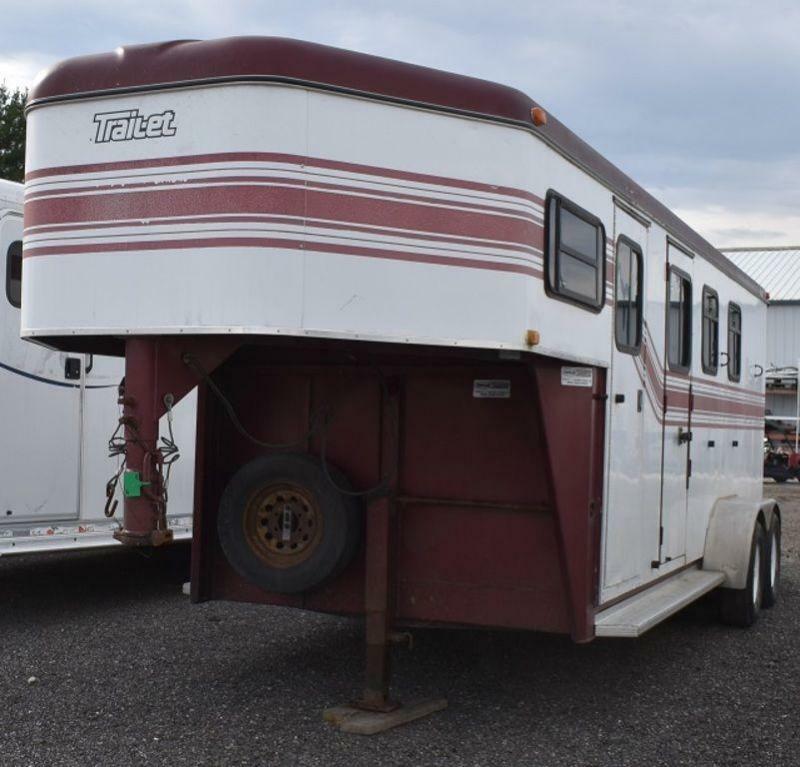 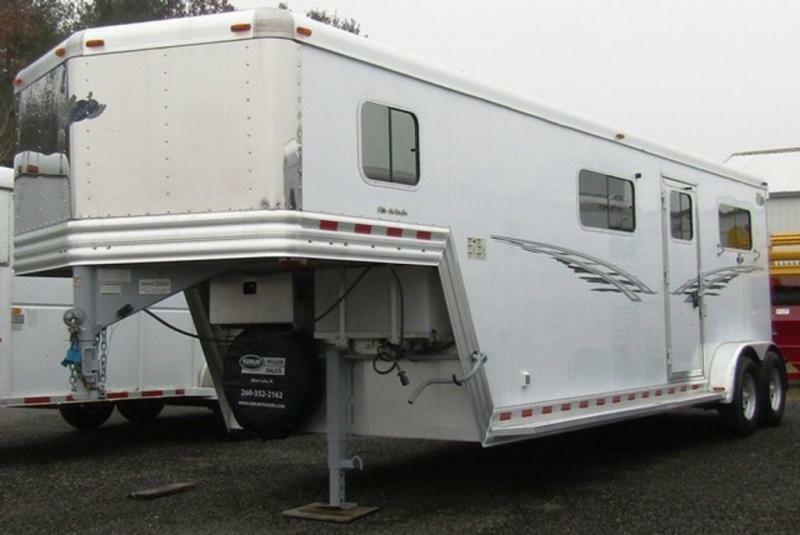 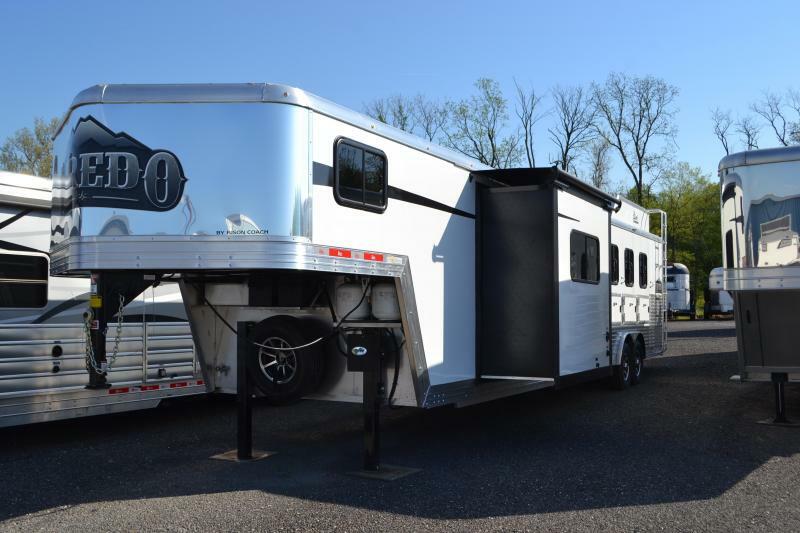 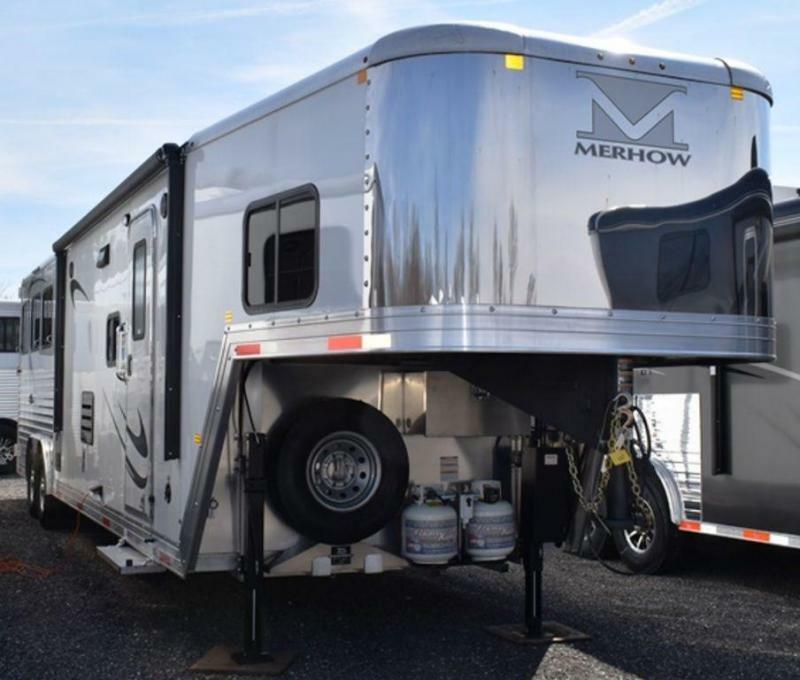 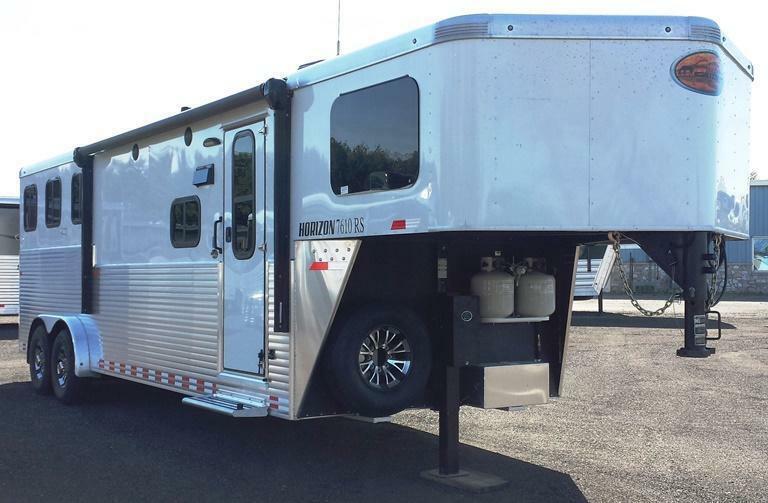 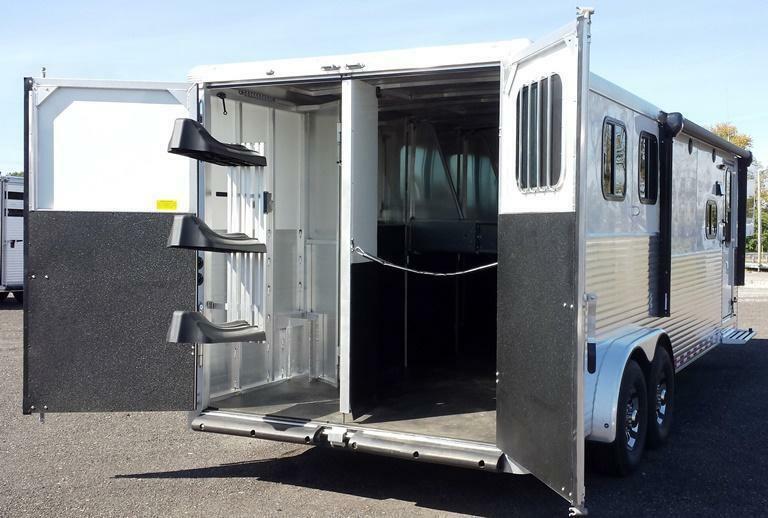 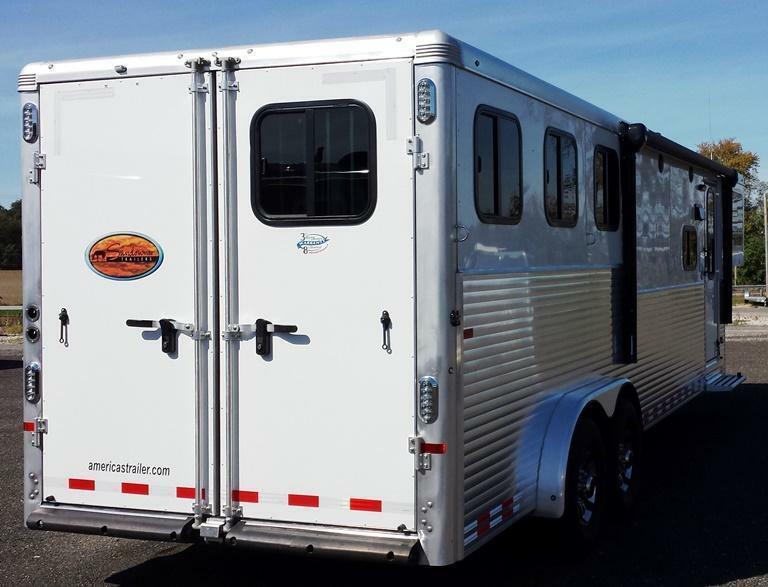 This 2016 Sundowner three horse trailer features front drop down windows, an escape door through the front stall, rear sliding windows, mangers, access to the living quarters, and a rear tack with three pull-out saddle racks. 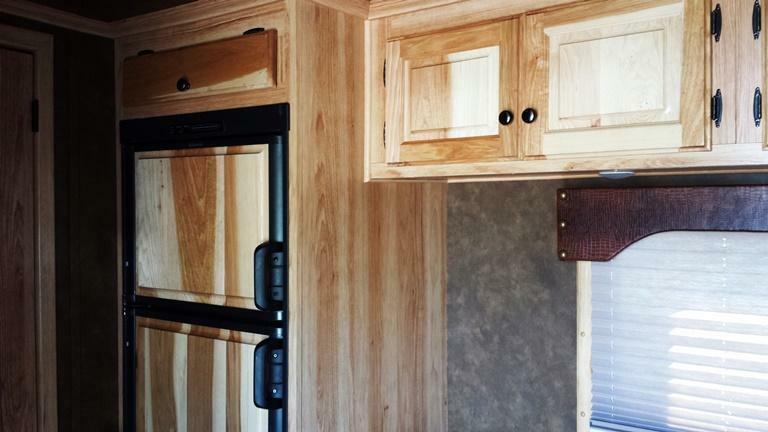 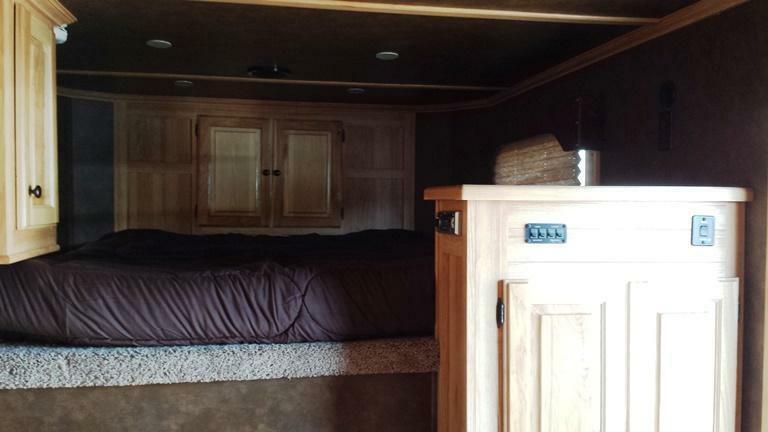 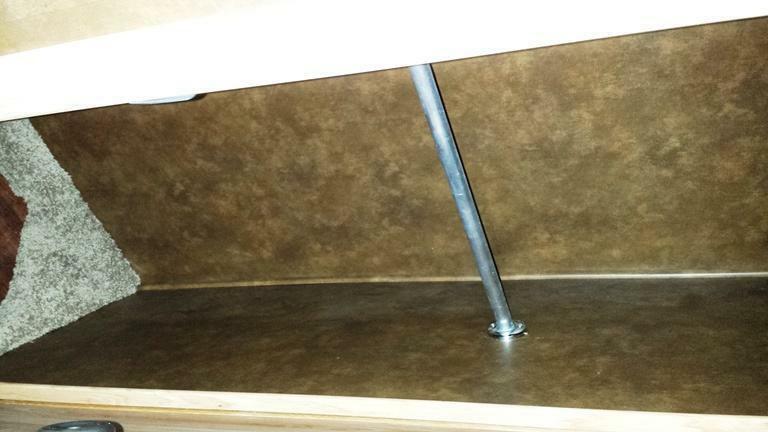 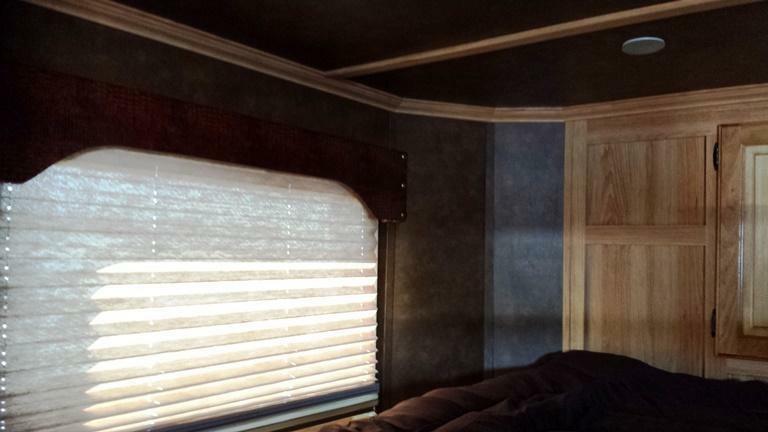 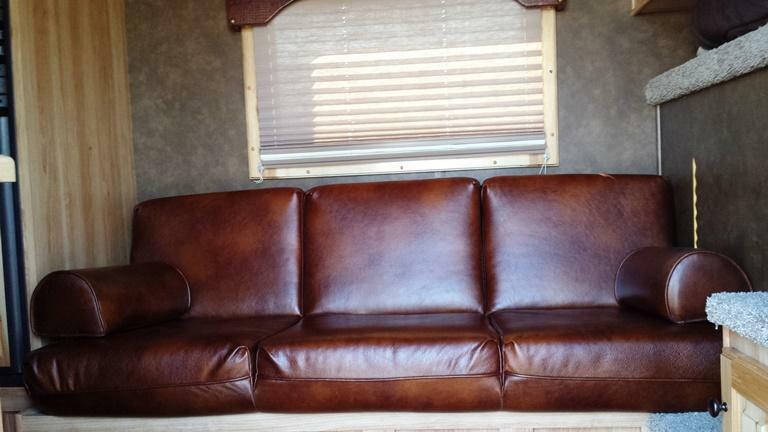 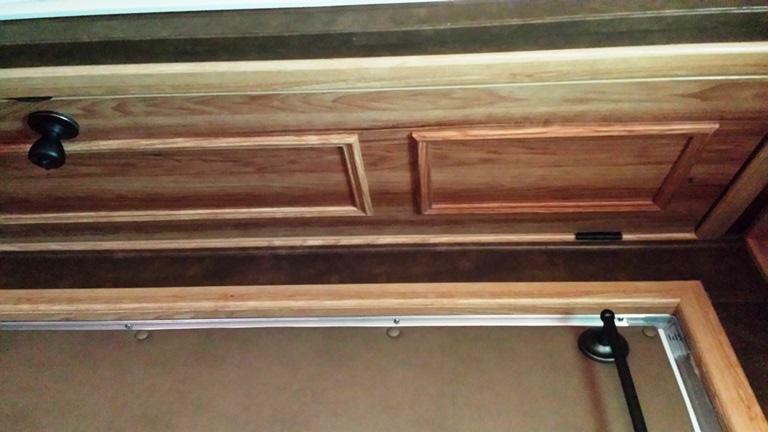 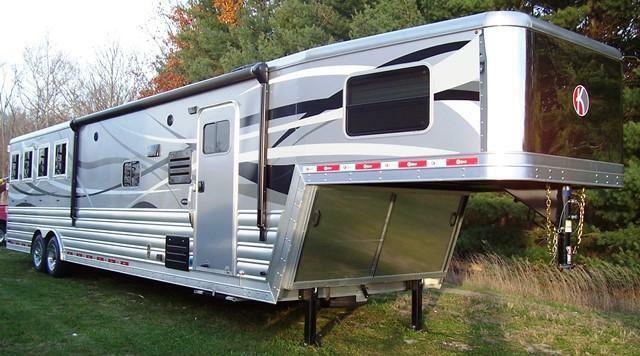 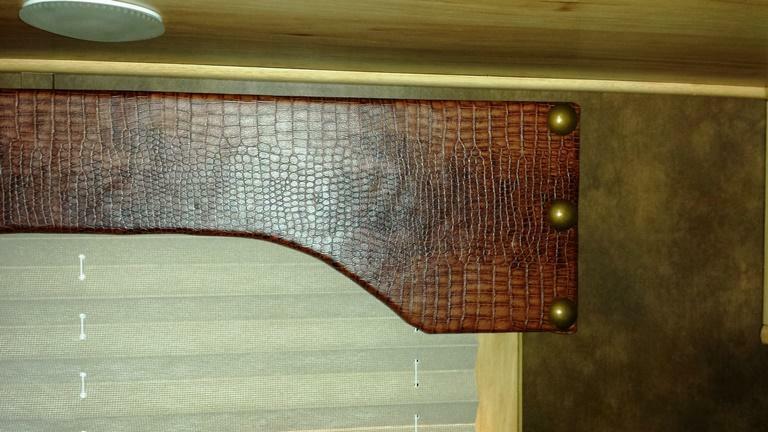 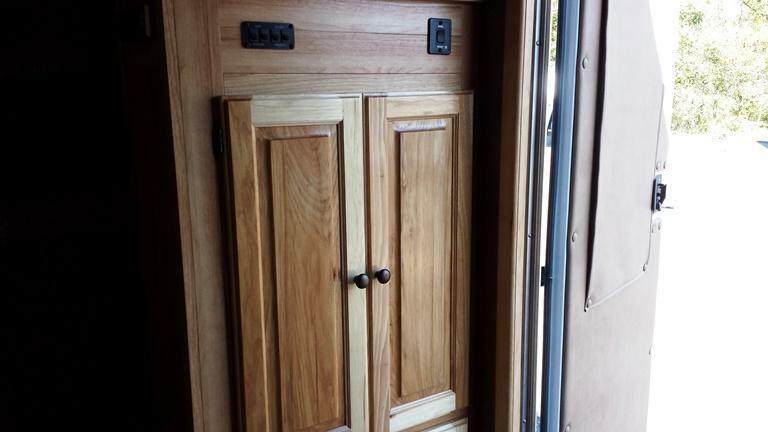 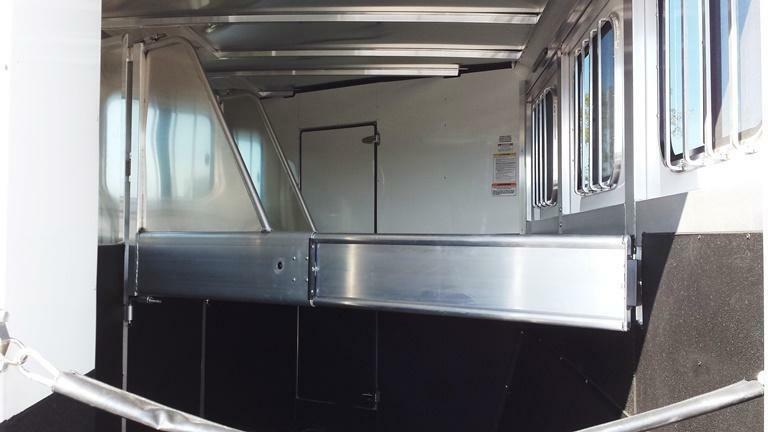 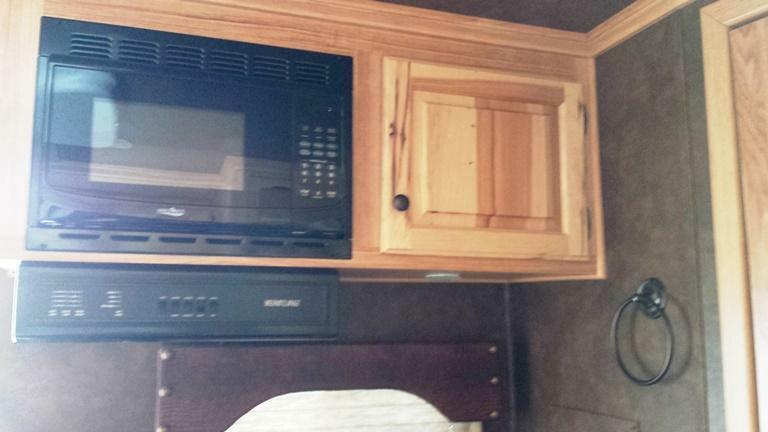 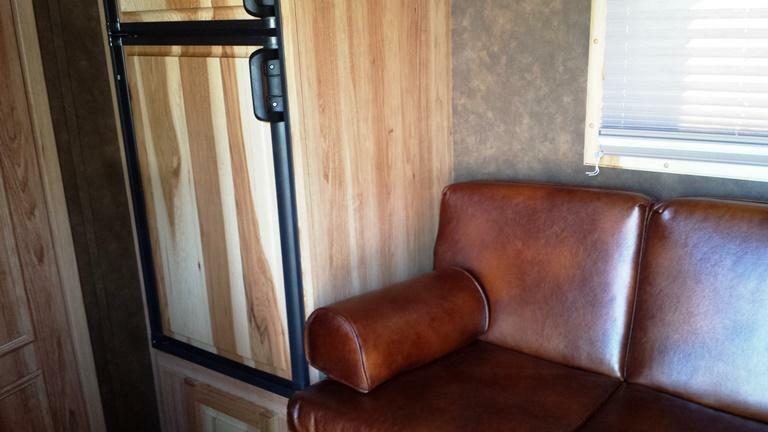 When stepping to the front of the trailer, you will find a 10' living quarters containing a large leather sofa, 6 cubic foot refrigerator, stunning wooden cabinetry for storage, stovetop, overhead microwave, A/C, and furnace. 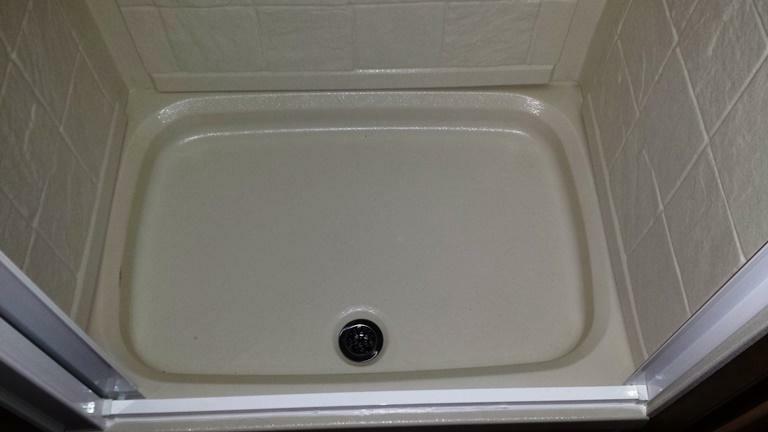 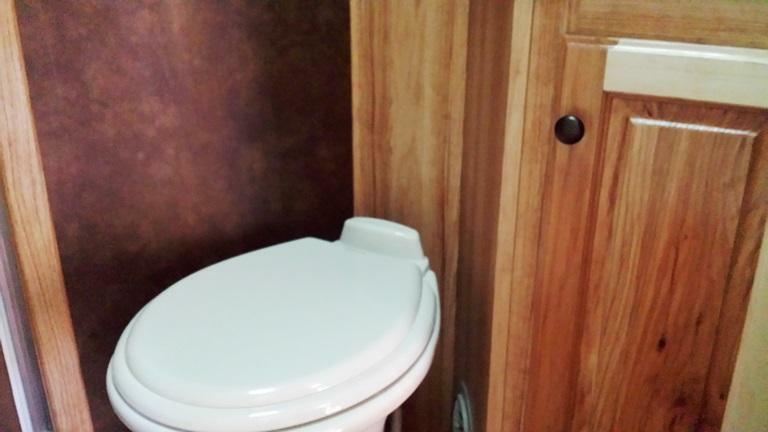 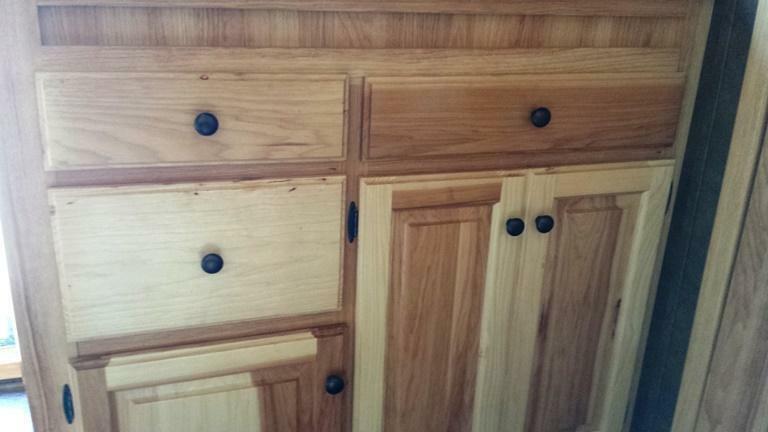 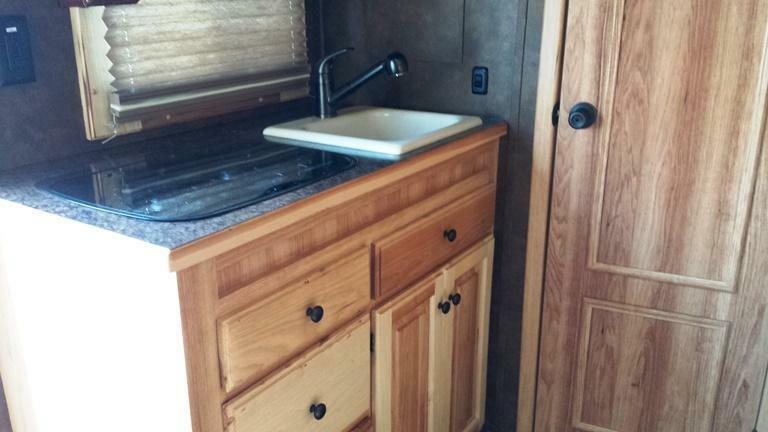 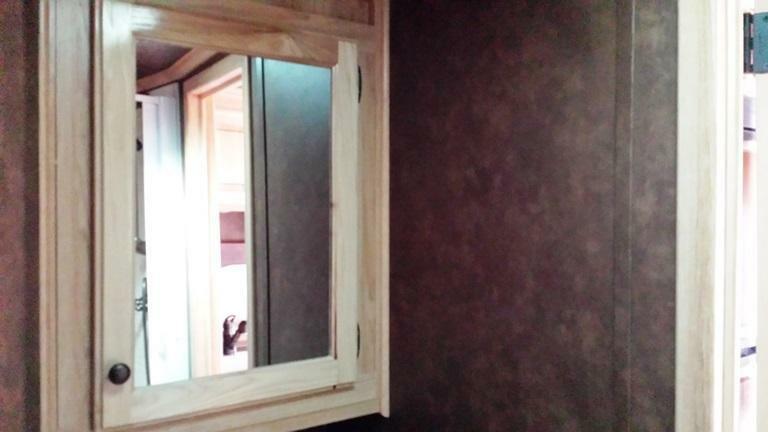 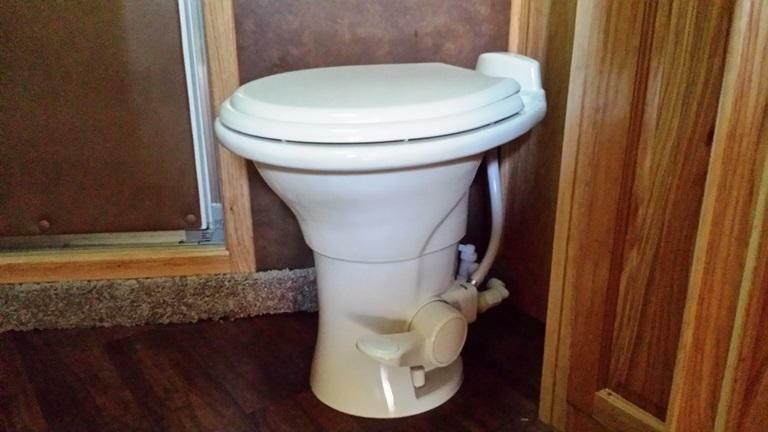 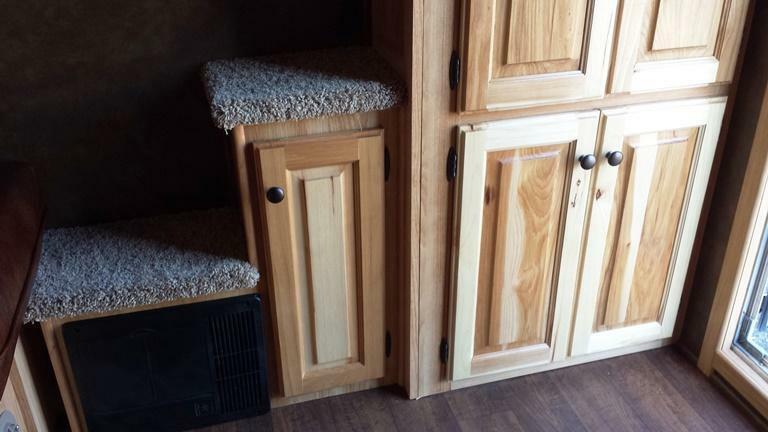 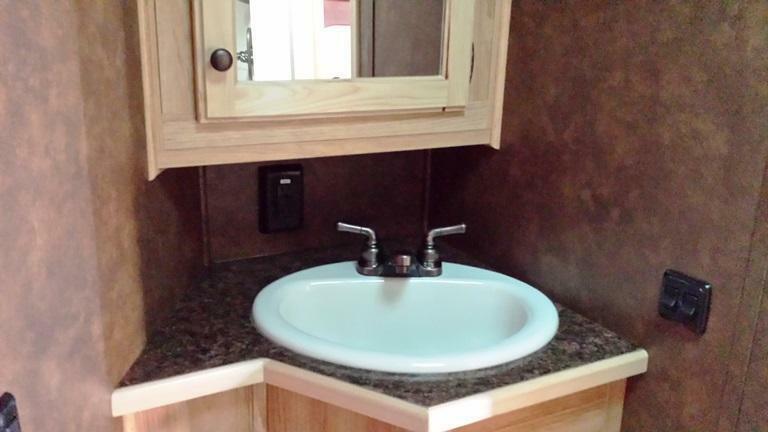 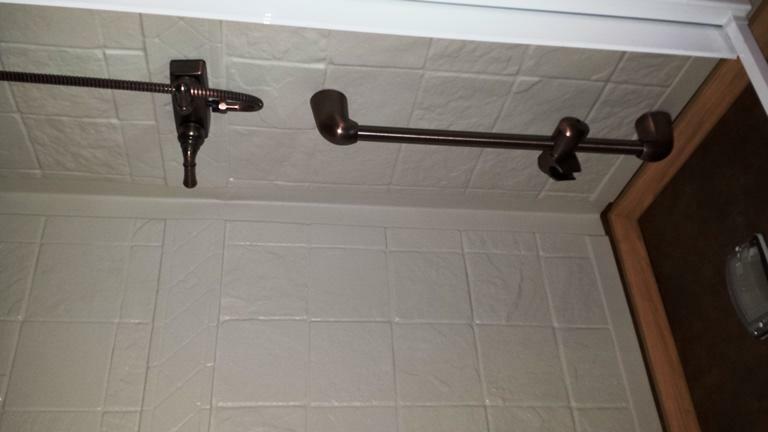 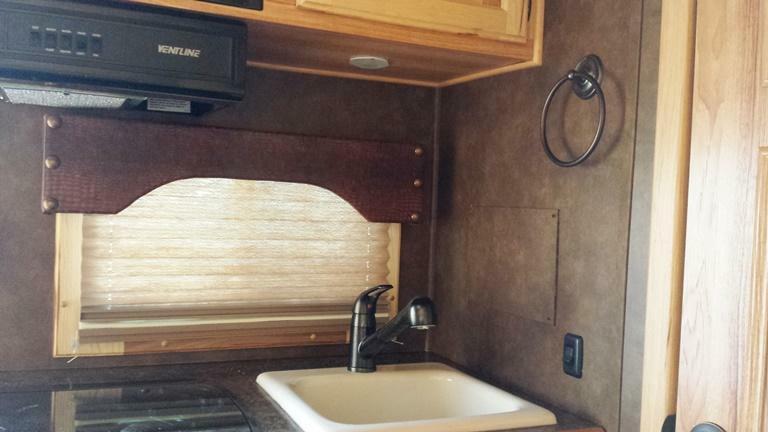 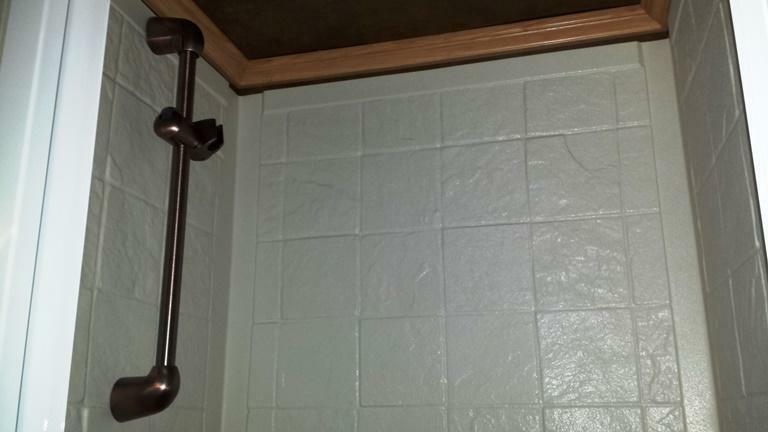 The bathroom offers a large vanity, medicine cabinet, shower, storage cabinets, and toilet.